Bihar Says No to the BJP: What Now? After his party lost the important state election in Bihar, big trouble for Narendra Modi’s government. Narendra Modi’s government is hardly celebrating at the moment. The massive defeat in a crucial state election in Bihar on Sunday has not only dented Modi’s political image, it also firmly marks the end of the right-wing Hindu leader’s honeymoon with Indian voters. This election raises serious questions about the fate of the increasingly vulnerable-looking prime minister’s much-trumpeted economic reforms. In May 2014, the ruling Bharatiya Janata Party (BJP) and its allies won 31 out of 40 parliamentary seats in Bihar. In total, the BJP held 172 seats out of 245 in the regional legislative assembly. Eighteen months later, the party holds only 58 seats. This crushing setback indicates a clear disenchantment of the electorate with the Modi government, which came to power in Delhi with a historic mandate in 2014. The defeat is all the more pronounced because Modi heavily invested himself in the election, campaigning intensively for close to two months. He addressed more than 30 public rallies over the span of six weeks to mobilize voters. Never before in Indian history has a prime minister invested so much time in a state election. Therefore, the victory of the the Grand Alliance, a grouping of three parties–the Janata Dal (United), Rashtriya Janata Dal (RJD) and the Congress Party–over the BJP is not a normal electoral success: it has a message which goes beyond state boundaries. The Grand Alliance notched up more than a two-thirds majority by bagging an impressive 178 seats out of 245. This election has wider implications that go beyond Bihar. 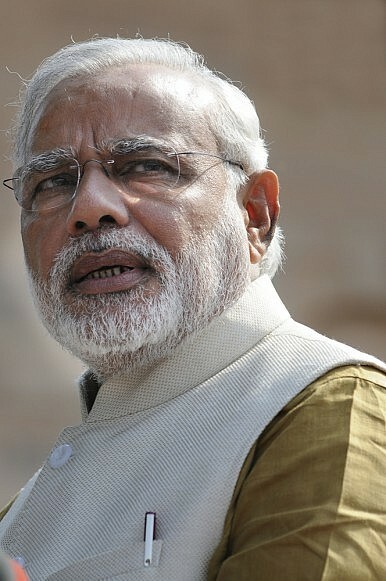 Modi rode a wave of widespread popular support into office. The BJP’s loss in Bihar represents a deep dissatisfaction with Modi’s leadership. One central message that emerges after Sunday’s outcome is that the Indian people reject the politics of divisiveness that the ruling party has been promoting ever since it came to power. The rising religious intolerance in the country and the prime minister’s mysterious silence on the issue has not gone down well with the masses. For many, the verdict in Bihar comes as a relief, as it is expected to temper the belligerence of radical Hindu groups. The outcome is also a reminder to Modi that young India voted for him 18 months ago with a hope of better economy, jobs and security–not divisive communal politics. With the defeat in the crucial state, the BJP has lost its aura of invincibility. The opposition, which has been relatively subdued since May 2014, is sure to reassert itself in Indian politics. By forming a formidable alliance of like-minded parties, they have discovered that the BJP can be beaten at a time when the party was threatening to overwhelm its political opponents all across India. Two Bihari politicians, Nitish Kumar and Lalu Prasad Yadav, have gotten a new lease on their political lives after facing near irrelevance in May 2014. By forming a strong secular alliance with support from the Congress Party, they have demonstrated the limits of right-wing politics and the appeal of the BJP. The hope is that the victory in Bihar will mobilize like-minded parties in different parts of the country and create a formidable opposition alliance both within and outside of parliament. The Bihar verdict may also prove to be a boon for the Congress Party. The main opposition party has been in a funk ever since its humiliating defeat in 2014. By being part of the winning combination in the eastern Indian state, the party senses an opportunity to reinvent itself. Though smallest within the three-party Grand Alliance, the Congress Party has fashioned itself as a cementing factor in the grouping. The victory no doubt gives the party scion, Rahul Gandhi, a much-needed boost. Faced with an emboldened opposition, it will not be easy for the BJP government to fulfill its bold promises of economic reforms and legislation. However, failure to do so will further Modi’s political standing. The BJP wanted to use Bihar as a gateway for eastern India. The party was planning to expand its electoral presence in region by riding a electoral wave in Bihar, but the setback constricts the party’s ambitions. The BJP’s defeat in Bihar is not only the loss of a state. It represents the loss of a myth: the myth represented by Modi. Governing the country after the Bihar debacle is going to be a huge challenge and will test the BJP’s capacity to rule.